Artificial intelligence, software, chemistry and the aviation industry. Dozens of Czech research entities benefitting from the return of those studying in the United States are cooperating with Americans. The Elegance of the Molecule is the title of a play that premiered at Prague’s Dejvice Theatre in April 2018. The production was unprecedented on the international scale, as it mapped the history of an illustrious scientific discovery: anti-HIV drugs. 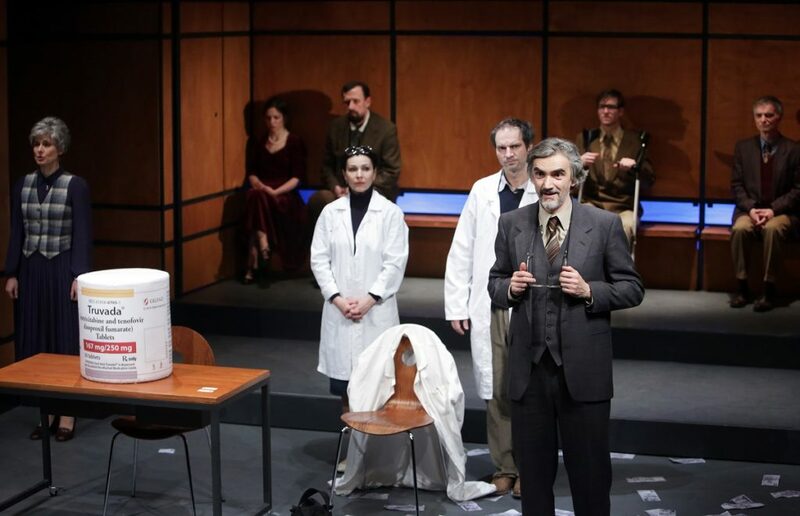 The play brings to life the story of the collaboration between chemist Antonín Holý, who developed promising compounds in socialist Czechoslovakia and found a business partner, John C. Martin, in America. This scientific “fairy tale” resulted in the production of drugs targeted at HIV and AIDS (Viread, Truvada) and hepatitis B (Hepsera), as well as a billion dollars in profits for the once tiny company Gilead Sciences, which is now one of the biggest pharmaceutical firms in the world. Martin is a dollar billionaire and Holý’s parent Institute of Organic Chemistry and Biochemistry of the Academy of Sciences of the Czech Republic (ASCR) has received billions of crowns in licensing fees from the United States. The institute has made good use of its windfall by conducting outstanding research, which has ranked it among the best institutions in the Czech Republic and brought it global renown. And it still maintains productive relations with Gilead, as well as with other American organisations. Who wouldn’t collaborate with the United States? 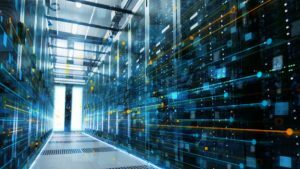 It suffices to look at any of the lists of the world’s most innovative firms and see the myriad names with American DNA: Apple, Tesla, Amazon, Facebook, RedHat and Honeywell, to name just a few. A number of such firms have found in the Czech Republic not only research partners, but also their own facilities, for example in the Moravian city of Brno, where there is strong emphasis on development and innovation. Intensive collaboration in basic research is evidenced by collaborative studies published jointly with Americans, of which there were 3,862 in the period 2016-2017 according to data from Web of Science. Czech researchers collaborate more only with neighbouring Germans, though the difference is only very, very slight (3,912 studies). Where ground-breaking blue-sky research is concerned, the main partner on the Czech side is the aforementioned Academy of Sciences of the Czech Republic with its more than fifty various institutes, which are striving to expand and enhance collaboration with the United States. This is evidenced by, for example, a recent journey to Memphis, where chairwoman Eva Zažímalová signed an agreement on institutional cooperation with a local university. 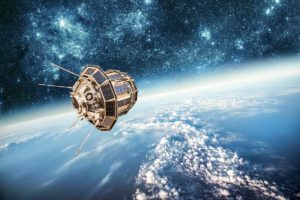 “The representatives of four different institutes of the Academy of Sciences and four other research organisations that took part in the mission confirm the potential of this cooperation. Expansive possibilities are apparent in the fact that discussions were carried out on such different topics as financial infrastructure security, research of the dynamics of natural disasters and addictology on one hand and, on the other hand, additive manufacturing, smart transport, biostatistics and sensor technology,” said Luděk Moravec of the Czech embassy in Washington. Moravec serves as the Czech Republic’s attaché for science and research, a role that is filled by only one other Czech ambassador in the world, namely in Israel. In autumn 2018, the Czech Ministry of Education contributed CZK 310 million to 46 joint US-Czech research projects, the most successful of which were those of Charles University and the Academy of Sciences (23 in total). A number of academics have long-term ties with Americans: the ASCR Institute of Thermomechanics collaborates with universities in California and Arizona, the ASCR Geophysics Institute conducted measuring with the University of Oklahoma at the Devils Tower site and the previously mentioned Institute of Organic Chemistry and Biochemistry has, through the outstanding Czech chemist Josef Michel, contacts to Colorado. Other Czech professors are learning new things about global science in America. For example, Professor Jiří Homola, the current head of the ASCR Institute of Photonics and Electronics and one of the most frequently cited Czech physicists, gained experience in Seattle, where he worked for more than five years. “In the United States, I gained a different view on how to organise and direct science, how to think about it, which had a major influence on the direction I have taken,” Homola told Lidové noviny. He enjoyed the creative atmosphere there and the desire for new findings. “One can feel there the pressure and interest of technology firms, the boldness and vigour that is sometimes lacking a bit in Europe,” recalls Homola, who teaches at Czech universities, where he imparts “American drive” to photonics students. Other scientists are a source of enrichment for Czech schools. Charles University, founded by Emperor Charles IV in 1348, before Heidelberg University in Germany, recently welcomed to its International Advisory Board Joseph Jankovic, a native of the north Bohemian town of Litvínov and a leading neurologist at the Baylor College of Medicine in Texas, where he specialises in Parkinson’s disease. Jankovic’s Hirsch index is greater than 120 thanks to his sixty thousand citations! Bohdan Pomahač, a proud graduate and supporter of Palacký University in Olomouc, where outstanding biomedical research is conducted (at the IMTM centre under the leadership of Marián Hajdúch), is a world-renowned plastic surgeon who has performed a number of revolutionary face transplant operations in Boston. The International Clinical Research Centre in Brno focuses on cardiovascular research in cooperation with the Mayo Clinic. Researchers in technical fields are also looking to the future. For example, informaticists, electrical engineers and cyberneticists from the Czech Technical University (CTU) in Prague have longstanding contacts with Americans. Groups of experts (Michal Pěchouček, Václav Hlaváč and Michaela Šebek) who focus on artificial intelligence and autonomous systems have implemented and continue to implement projects for NASA, the Federal Aviation Administration and the Missile Defence Agency. The aforementioned research activities – like the activities of the company Crytur in Turnov and the research of crystals at the ASCR Institute of Physics – led in 2019 to the establishment of the Prague branch of the Office of Naval Research for the whole of Central Europe. A list of interesting facilities was compiled for the Americans by Professor Vladimír Mařík of CTU, who established the Czech Institute of Informatics, Robotics and Cybernetics, of which he was the director and for which he currently serves as the head of science. At the highest intergovernmental level, a new investment in research and development of aircraft engines was agreed between the CTU Engineering Faculty and GE Aviation. “We are very pleased that we have managed to develop a partnership with our industrial partner. It’s great that we can obtain knowledge from GE for our research and instruction and thus aid the development of the aviation industry in the Czech Republic,” Michael Valášek, mechatronic engineer and dean of the Engineering Faculty, said in October 2018. CzechInvest has long provided support for international cooperation to start-ups that want to try their luck beyond the ocean. The agency operates the CzechAccelerator programme for promising innovative projects and, since 2015, has organised a number of “technology missions” in Washington, North and South Carolina, Chicago and Georgia. During these missions, outstanding Czech research centres (CEITEC, SIX, IT4I), universities (CTU, Masaryk University and the University of West Bohemia) and companies (CertiCon, Instar ITS) had a chance to meet with their American counterparts and negotiate future collaboration. Collaboration in science and research is associated with a famous name: Fulbright. The Fulbright Foundation has been supporting the exchange of minds between countries for more than a quarter of a century. “In January 1991, the then ambassador of the United States, Shirley Temple-Black, and Foreign Minister Jiří Dienstbier signed an intergovernmental agreement about the set-up of Fulbright commission in Czechoslovakia… A number of its programmes are currently available for postgraduate students and outstanding scientists. There is also a Czech-specific programme called the Fulbright-Masaryk Scholarship intended for people who are publicly engaged,” Hana Ripková, head of the foundation’s Czech committee, told Lidové noviny a few years ago. And it has not been long since she received a prestigious award from the US embassy for contribution to Czech-American relations. From the eight Ivy League prestigious universities, Czechs are mostly attracted to Columbia, Harvard, Yale, Princeton and Cornell in the USA. Significant personalities are among the Fulbright ambassadors in the Czech Republic, including Palacký University chancellor Jaroslav Miller and physician Milena Králíčková, vice-chancellor of Charles University. Countless other talented younger scientists also benefit from contacts with America. For example, from the Central European Institute of Technology at Masaryk University in Brno, three holders of elite European Research Council grants were postgraduate students or postdoctoral scholars in the United States: Richard Štefl at the University of California Los Angeles, Pavel Plevka at Purdue University and recent grant recipient Marek Mráz, who studies blood processes in connection with leukaemia, at the University of California San Diego. Another ERC grant holder is astrophysicist Ondřej Pejcha recently came to Prague from Princeton. “They have various scholarships there for postdoctoral positions and I managed to obtain a NASA Hubble Fellowship, which supports research connected with the famous space telescope,” says Pejcha, who is researching methods of modelling in the interaction of two rotating stars.